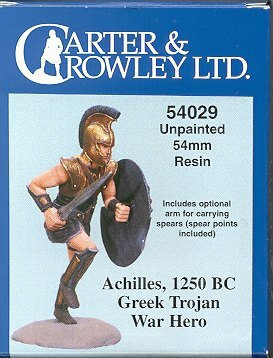 This is the latest in C&C's line of resin figures and this time it is Achilles, a 1250 BC Trojan war hero. The pose is one of Achilles rushing into battle. He can be armed with either a sword or a spear. Several spear points are provided as is an alternate right arm for holding this weapon. The builder will have to come up with the spear shaft, but this can be easily made from a length of plastic rod or a section of brass or aluminum tubing. Overall the level of detail is excellent and I'm thinking that these are made by the same people who do the True Details aircraft accessories as it has the same look and feel of those items. 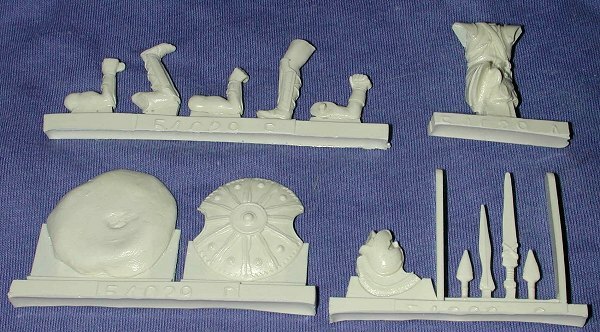 If you want something a bit different in the way of a nice figure, then this is it. Overall, an excellent figure and one that would be perfect either as part of a diorama, or as a stand-alone project.